This refreshing and filling salad is a summer vacation favorite. The recipe is pretty much the same as the one I posted last summer only a bit simpler. I used plain vinegar instead of balsamic and no celery. 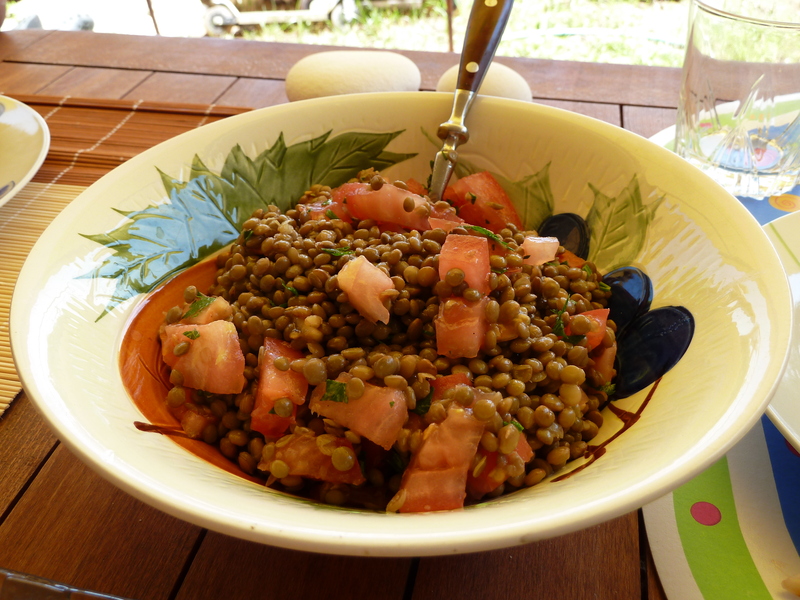 Just the lentils, olive oil, vinegar, tomatoes and parsley. I like this dish better with small size lentils. Be sure not to overcook them. Take them off the fire as soon as they crush (not get pureed) in your mouth. The original recipe is from tastefull.gr. My version is drier and with soy sauce. How to make: Rinse the lentils and boil them until the lentils are soft but not overcooked. You can add couple of bay leaves in the water while boiling. Drain the lentils, add salt & pepper, and combine them with the tomatoes, spring onions (optional) and finely chopped parsley. Add olive oil, vinegar and some soy sauce to taste. Start with a tablespoon and add more if you like it. Notes and tips: Add the salt and pepper while the lentils are still hot but the tomatoes and parsley after they have cooled. 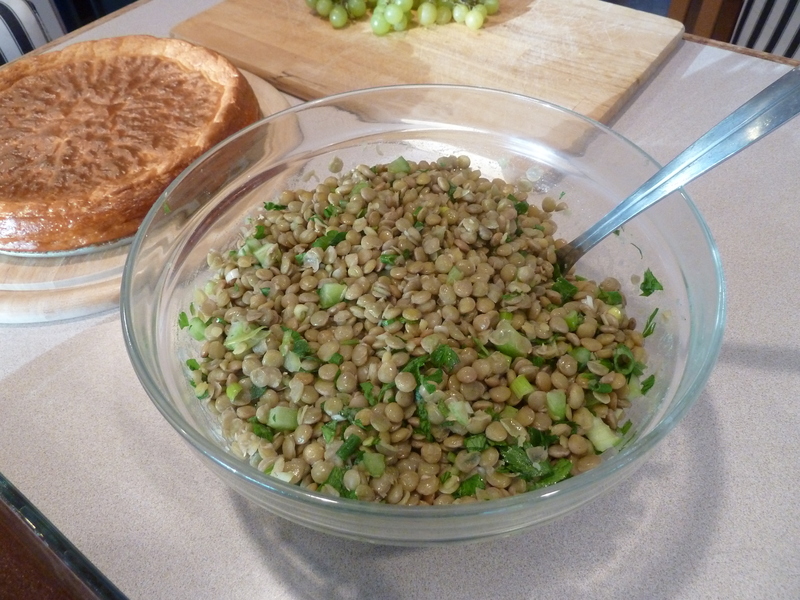 Here’s a photo of the lentil salad I made today. I didn’t have tomatoes. Instead, I used celery which I cut in small cubes. Hello! Love the salad version of a Greek soup! Welcome! I’m glad you liked the lentil salad. I will make a salad version of the Greek bean soup, too. I will be in Greece for the next couple of weeks and many veggie recipes are coming, primarily with tomatoes, zucchini, green peppers, and eggplants. They are in season and plentiful in the markets.